This is the BEST Oatmeal Raisin Cookie recipe! 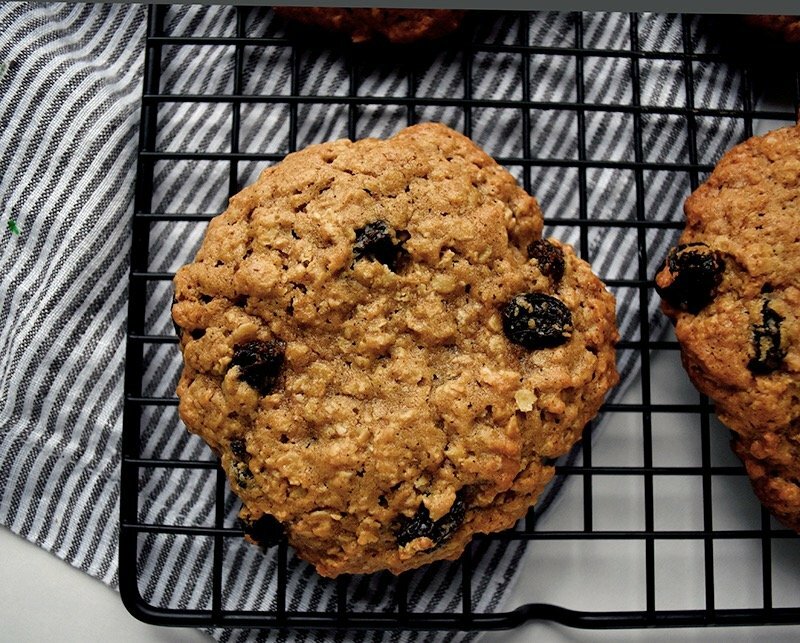 This is a great recipe for a perfectly soft and chewy oatmeal raisin cookie full of plump raisins, warm spices, molasses, and quick oats. We call them the vanishing cookies, in my house! And be sure to stick around and find out the TWO MUST-KNOW TRICKS for perfect bakery style oatmeal raisin cookies! In my family, oatmeal raisin cookies need to be soft with the perfect amount of chew. And it has taken me quite alot of trial and error to get the right recipe. 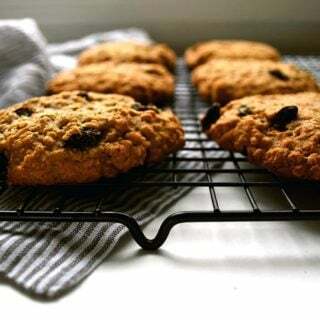 I love my oatmeal cookies to have a bit of spice and super plump raisins. My husband wants his cookies with a nice crisp edge. My son loves a ginger molasses flavor (my ginger cookies are his fave). And my daughter wants cookies that can be stored well so she can snack on them all week. 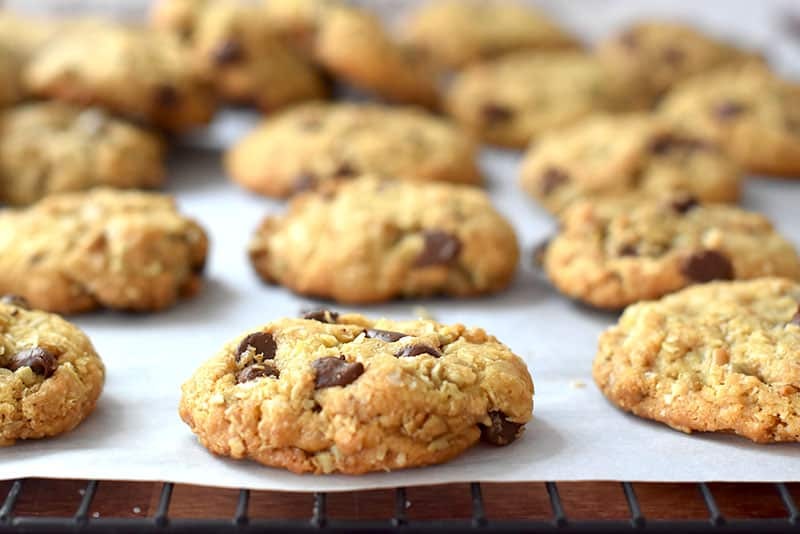 I’m happy to let you know that this oatmeal raisin cookie recipe is the perfect cookie recipe. Spicy, plump raisins, crispy edge, ginger and molasses flavor, and cookies that store well. Bam! To make oatmeal raisin cookies soft you need to help them keep in as much moisture, as possible. 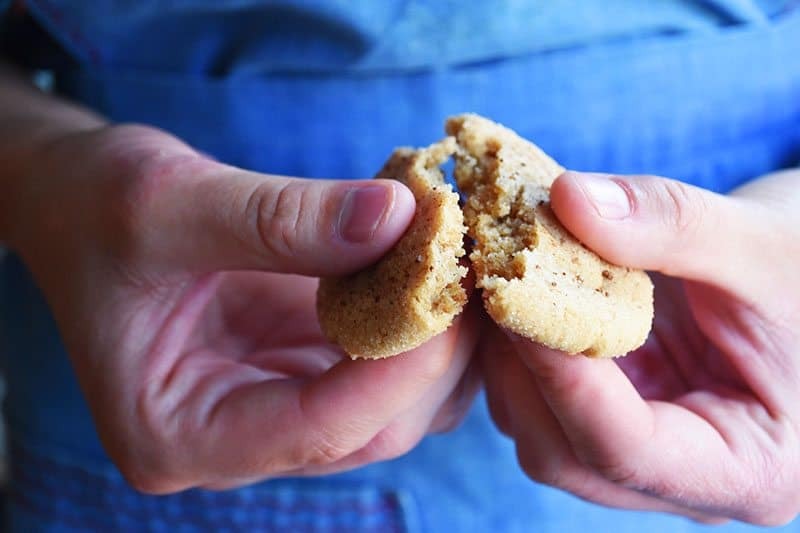 Adding a bit of molasses helps the dough retain moisture, chilling the dough for twenty to thirty minutes before baking helps the cookie not spread out while baking, and baking the cookies JUST UNTIL DONE are tricks that will give you those perfectly soft cookies. To make your raisins plump up for your cookies, soak them in water for 15 to 20 minutes prior to mixing the dough. Not only will the moisture plump up the raisins but will help your cookies stay soft. A great bonus! Expert tip: soak your raisins in whiskey or rum rather than water for a fun “adult” cookie. This oatmeal raisin cookie recipe is full of warm spices of nutmeg, cinnamon, and ginger and a touch of molasses. These cookies are one of my favorite ways to bring my family comfort, especially on the weekends! Just baking up a batch makes the whole house smell of those wonderful, old-fashioned spices. 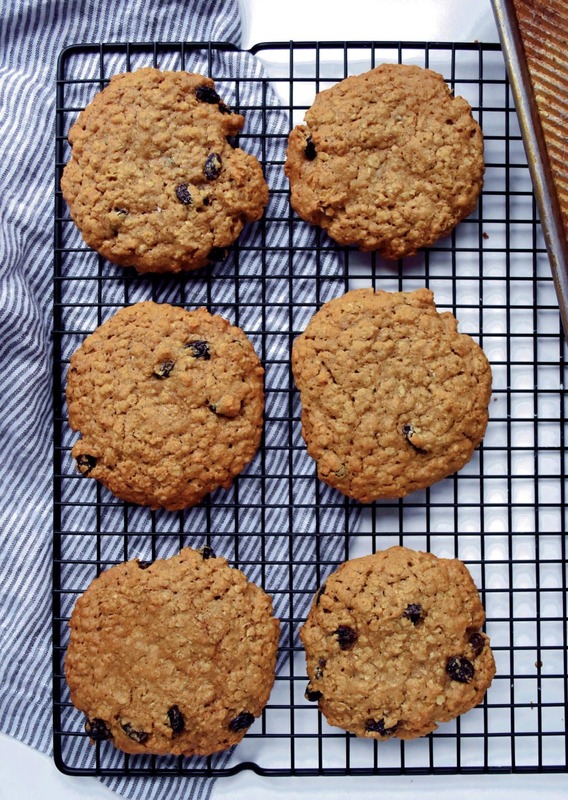 Should I use Quick Oats or Old-fashioned Oats for Oatmeal Raisin Cookies? Choosing quick oats or old-fashioned oats is completely personal. Old-fashioned oats will give your oatmeal raisin cookies a bit more chewy texture whereas quick oats will be a bit more ground up and not as strongly noticed. Try each one and see what you prefer most! Are old fashioned oats the same as quick oats? Old-fashioned oats are rolled whole grain oat kernels whereas quick oats are oat kernels that have been cut first before being rolled. Quick oats absorb water much faster than old-fashioned oats allowing form them to cook… quicker. 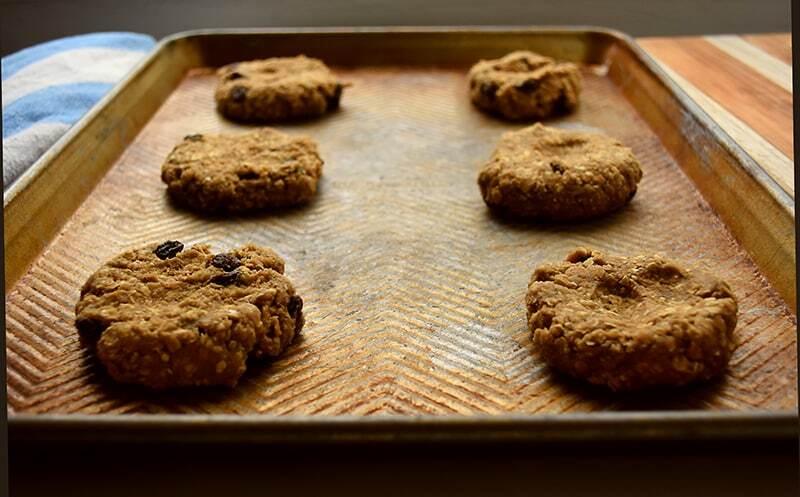 If your family loves oatmeal raisin cookies, give this recipe a try! We are certain this will find a place as your new family favorite like we have. Can I tell you secret? Most of the time, we sub out the raisins for chocolate chips. Or, add both to the cookies. SOOOOO good. Give that a try! I have found that I need to let the oatmeal raisin cookies cool completely, quickly after put them into an air-tight container with a small slice of bread, and store them at room temperature. In a large mixing bowl, beat the butter on high speed for 2-3 minutes until soft. Add the sugars, baking powder, baking soda, and spices and beat again for a minute or two, until thoroughly combined. Add eggs one at a time, beating thoroughly after each one. Add the vanilla and molasses and give it a quick mix. Add as much flour as you can with the mixer and then use a wooden spoon to add the rest. Put the bowl into the fridge and let chill for at least 15 minutes. Try for 30 minutes. Put 1/4 cup of dough on to ungreased cookie sheet -- 9 cookies to a sheet. Bake for 15-18 minutes at 375 degrees. Bake just until the edges are set. The center will still be a bit soft. 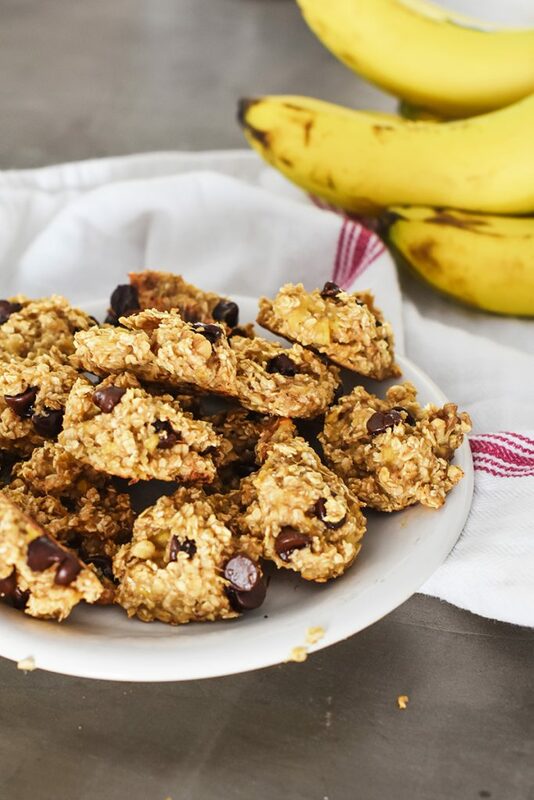 These cookies are full of crunchy sunflower seeds, coconut flavor, and sweet chocolate chips. 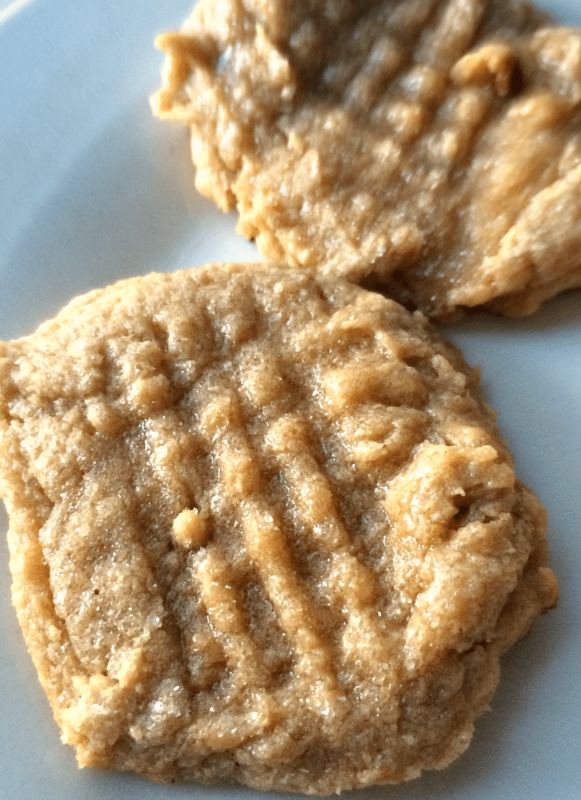 Easy to make and a quick, delicious cookie the whole family will love! I doubt there is a faster or more satisfying cookie than this one! My son’s favorite cookie, this Ginger Cookie is full of spicy flavor without the use of molasses. 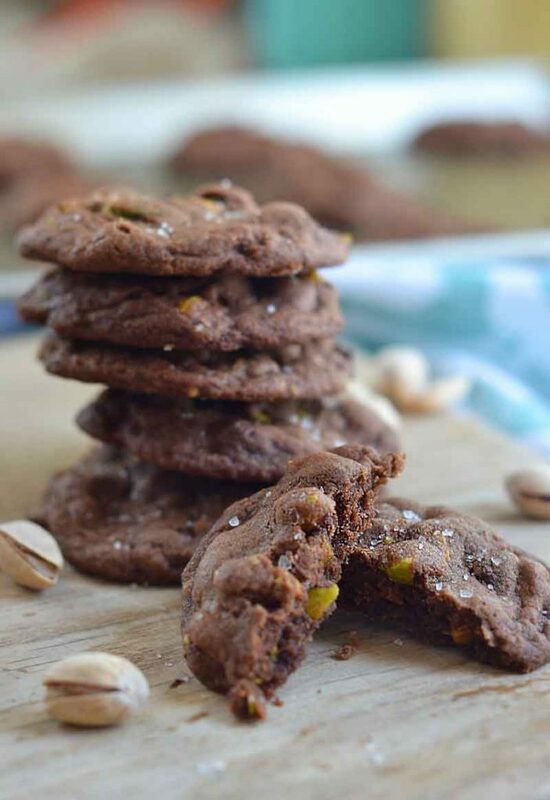 The combo of salt, chocolate, and pistachio is a winner in these flavorful cookies! These cookies are the first recipe each of my kids learned to cook with. So easy to bake with only 3 ingredients. 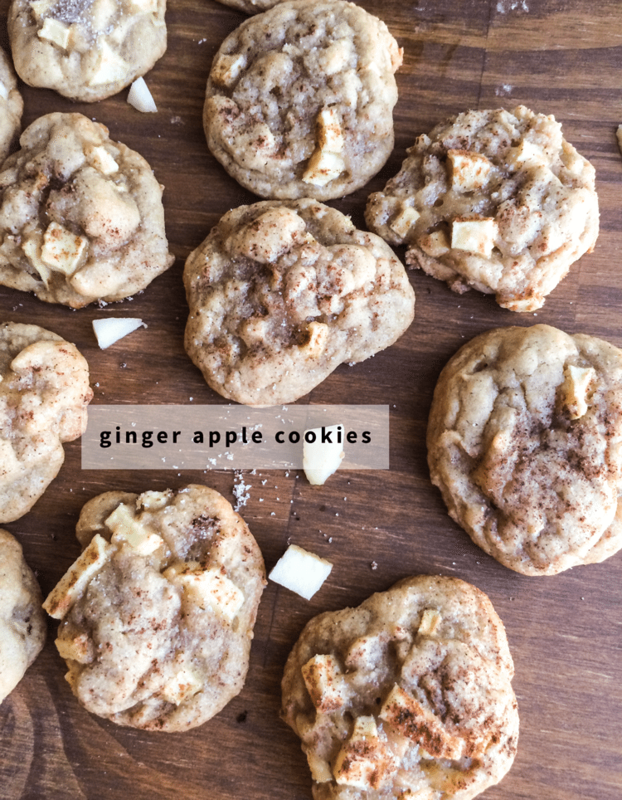 You’ll be surprised at how amazing apple and ginger tastes together in this soft and flavorful cookie! In your Oatmeal cookie recipe you didn’t specify how many eggs to use? Is it 2? Oh gosh, yes!! Thanks for letting me know!